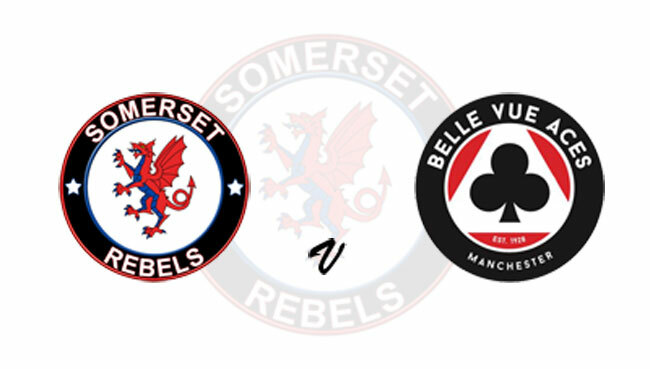 The 'Cases' Rebels begin a spell of four crucial semi-final meetings when they host the Belle Vue Aces at the Oaktree Arena on Wednesday (12th September). Facing the only visiting side to leave victorious this season, the Rebels will be determined to avoid a repeat of August 15th when the Aces finished high with a 48-42 league triumph, when the two sides meet in the KO Cup semi-final first leg. The two sides arrive fresh from an enthralling meeting slogged out at the National Speedway Stadium, the home of the Aces, last Wednesday, one which again the Manchester side won by six points, but Rebels' team manager Garry May believes that having lost the last two encounters will act as further inspiration to his side. "Belle Vue will probably come into this meeting fancying their chances given the meetings we have had so far this year against them, but that is certainly to fire us up that little bit more, not that a semi-final meeting doesn’t lift a rider in itself. We know that they ride our place well, but we have proved that we can ride their patch too so this is a semi-final which I feel will go the full distance. Obviously, we will be looking to make the return up there with something in our back pocket which means we have to be hitting them from the off at the Oaktree in our home leg. One thing is for certain, they won't be giving us a free ride. This has the making of being a real cup-tie." Somerset have named a full-strength one to seven, whilst the Aces will operate rider replacement for young Dan Bewley who cruelly, had his season ended in a bad crash at Workington last month. The second leg will be staged at the NSS next Wednesday and in between the two meetings the Rebels will also make their debut appearance in the top flight league play-offs, hosting Poole on Monday 17th September. Season ticket holders are advised that their tickets will be valid for the Belle Vue semi-final.